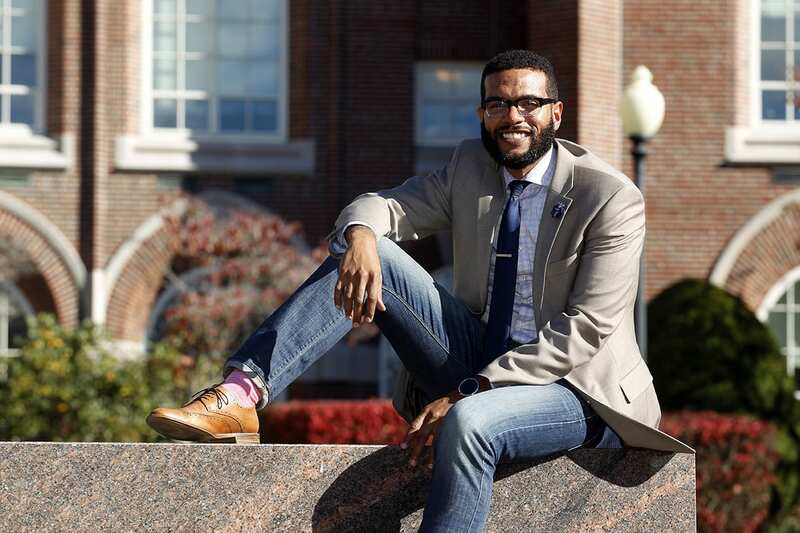 Kenneth Chabert ’10 is determined to provide boys from urban settings new pathways to self-sufficiency with his Gentlemen’s Retreat outreach. A Martin Luther King Scholarship to PC provided an escape route to Kenneth Chabert ’10, who spent his teen years balancing survival in his Bronx neighborhood with his desire for an education. Now, Chabert has founded the Gentlemen’s Retreat, a nonprofit organization whose mission is to provide boys from urban communities with tools for self-sufficiency in high school, college, and beyond. In October, Chabert led a retreat in Rhode Island for 16 Bronx teenagers. They attended workshops, activities, and lectures by business leaders and educators, including Friars’ men’s basketball Head Coach Ed Cooley — the first step in a two-year program emphasizing emotional and conversational intelligence through storytelling.